I took a holiday on Friday, but now I am back for a long uninterrupted week of work. Most of my time off was spent with family, but I did get a little bit of gaming time in. 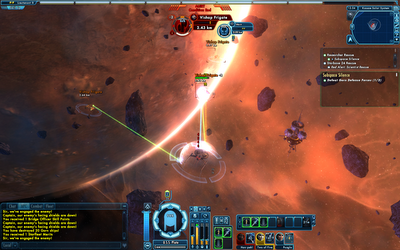 Some of it was spent in Star Trek Online, where I finally settled on a strategy for space combat. 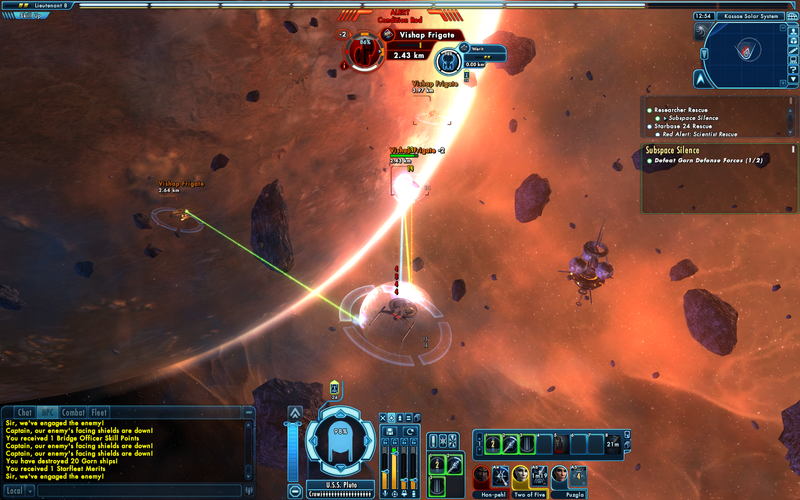 Initially, I was going to use Disruptors which were more powerful than phasers but has a 90' firing arc. This required me to stay more focused on a particular side of my target. With my limited starship flying skills, this took some effort. Instead, I took the easy way out and went Phaser focused. They have a firing Arc of 270', which allowed me to keep both he fore and aft phaser banks on the target more often. My Light Cruiser also has forward mounted Quantum Torpedo launchers for some extra firepower. Defensively, I am a big fan of shields. So I am going to go into most battles, hoping to tank most of the enemies fire while my phasers and their wide arcs take care of the rest. My Science Officer was trained in Jam Sensors, which is nice for taking an enemy out of a fight for a short time. I did not find myself using it much, so I went looking for what else she could use. I settled on Tachyon Beam I. The faster my enemies shields go down, the better it is for me. Besides, who doesn't like to use a Deflector Dish? It works pretty well so, far. 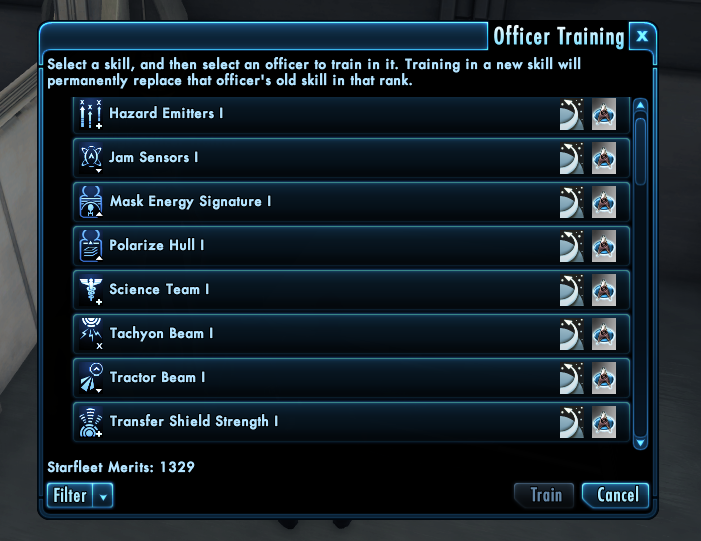 I trained up my Officer to level 6 on it, which reduces its cooldown. I take down/weaken its shields and then the Phasers and Torpedoes really go to work on their hull. Cryptic held a Black Friday sale (20% off) over the weekend, so I figured now was the time to make my first C-Store purchase. I ended up choosing two items. 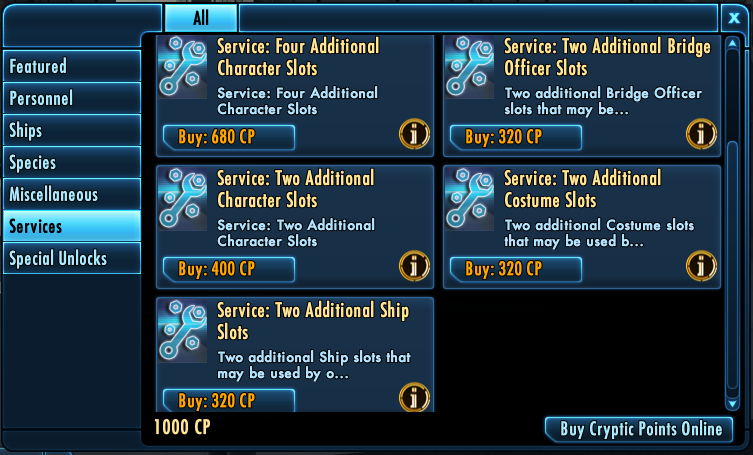 Two Additional Bridge Officer Slots and Two Additional Ship Slots. The nice part is, they are account wide. 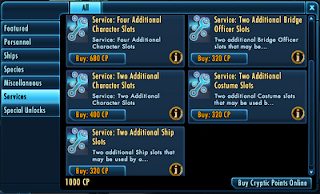 So when (hopefully) Cryptic releases playable Romulans, I'll be able to have more officers and ships over there too. 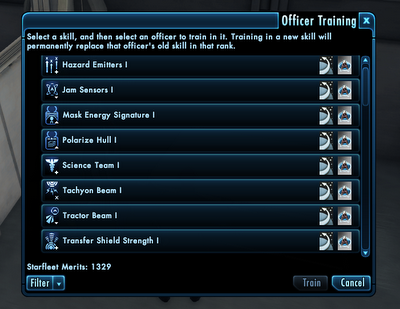 I am closing in on my Lieutenant Commander promotion, which will mean a new ship!